The National Museum of the Great Lakes in Toledo, Ohio. 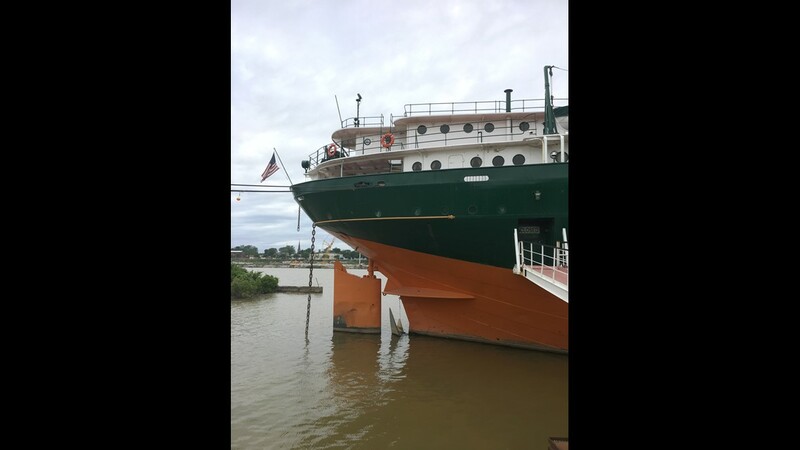 The S.S. Col. James M. Schoonmaker, built in 1911, is riding high in the Maumee River in Toledo, Ohio. The freighter used to make regular calls in Toledo and other Great Lakes ports. Now it is part of the National Museum of the Great Lakes. 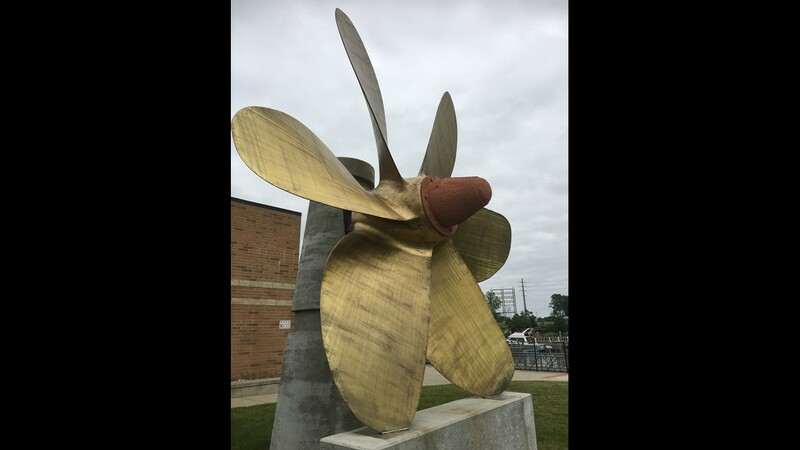 The massive propeller from the freighter S.S. John Sherwin, displayed outside the National Museum of the Great Lakes in Toledo, Ohio. 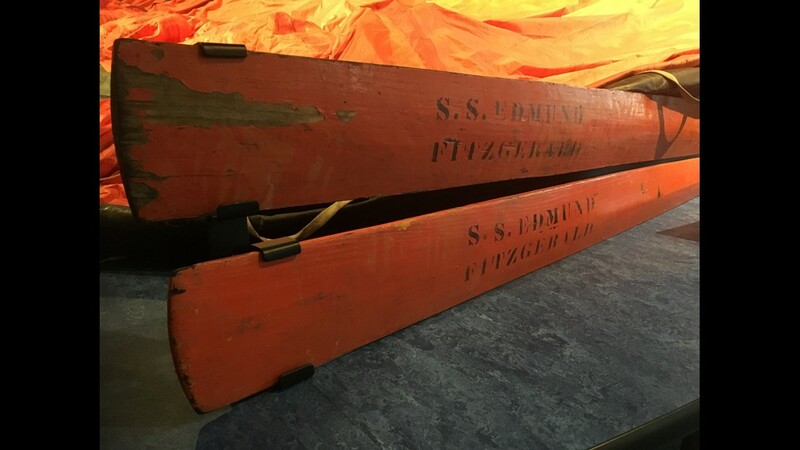 Oars from one of two steel lifeboats recovered from the surface of Lake Superior after the 1975 sinking of the S.S. Edmund Fitzgerald, one of the most famous modern tragedies on the Great Lakes. 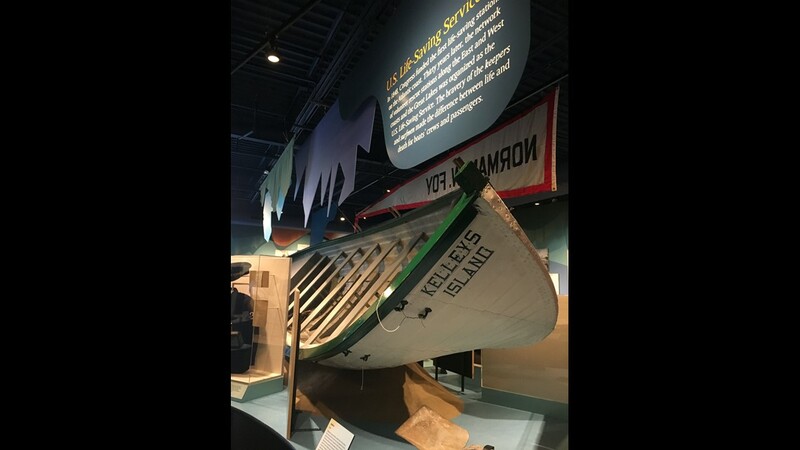 The oars are on display at the National Museum of the Great Lakes in Toledo, Ohio. 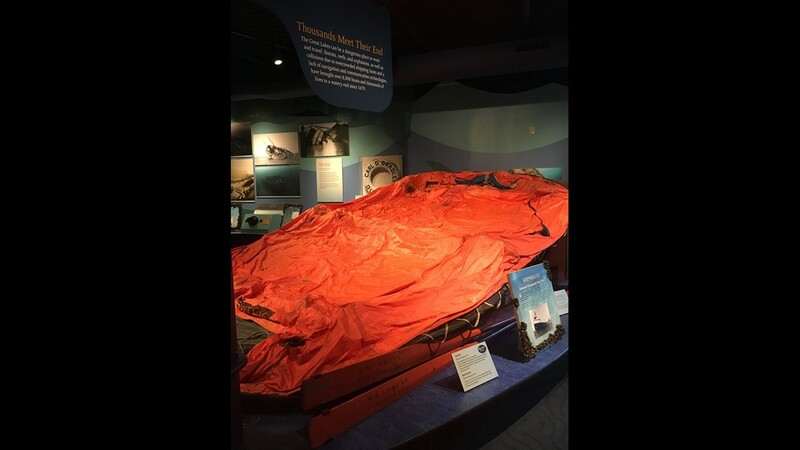 One of two inflatable life rafts recovered after the sinking of the S.S. Edmund Fitzgerald. 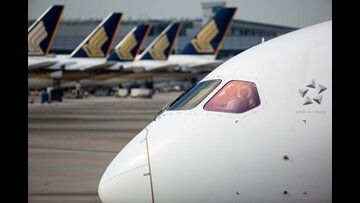 The tragedy unfolded so quickly that none of the freighter’s crew was able to use the raft, which was automatically released and floated to the surface during the accident. The raft is on exhibit at the National Museum of the Great Lakes in Toledo, Ohio. 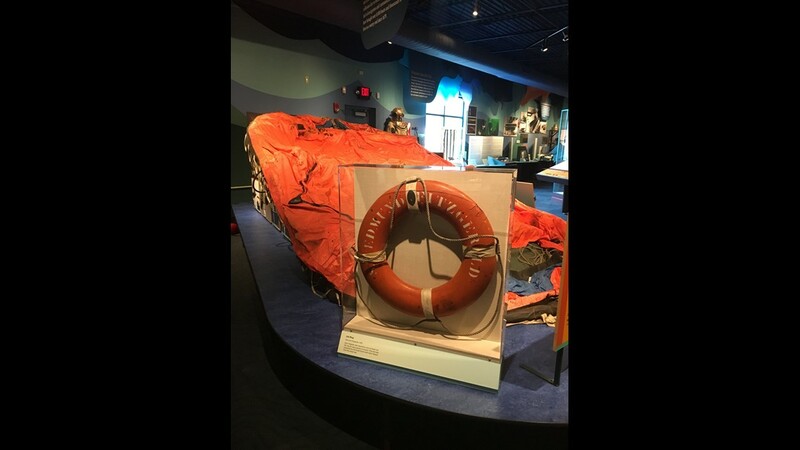 Life ring and life raft recovered after the sudden sinking of the S.S. Edmund Fitzgerald during a storm on Lake Superior in 1975. 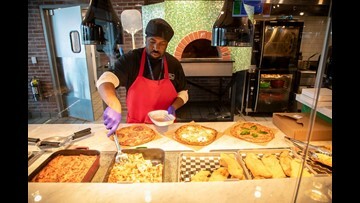 The items are displayed at the National Museum of the Great Lakes in Toledo, Ohio. 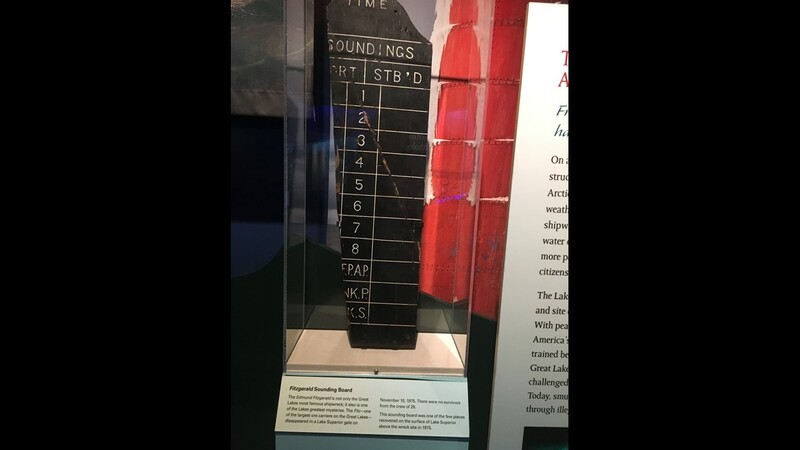 The sounding board from the S.S. Edmund Fitzgerald, recovered from the surface of Lake Superior after the ship’s mysterious 1975 sinking. 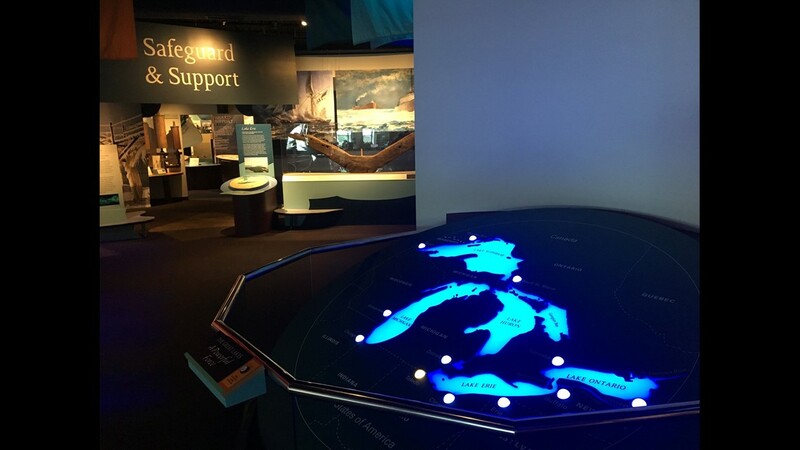 The board is one of many artifacts on exhibit at the National Museum of the Great Lakes in Toledo, Ohio. 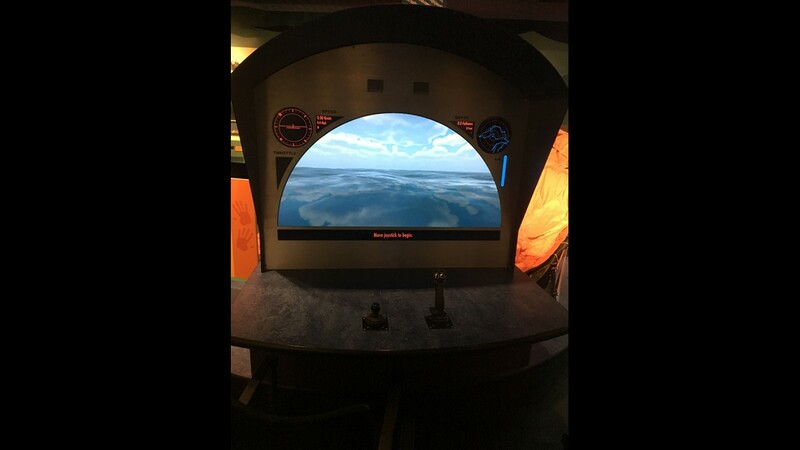 Visitors to the National Museum of the Great Lakes in Toledo, Ohio, can make a simulated dive to the wreck of the S.S. Edmund Fitzgerald, sitting on the bottom of Lake Superior. A “surfboat,” built in 1854 and used into the 1940s by life-saving services on the Great Lakes. The craft, believed to be the last of its kind, was used as a pig sty until rescued and restored by the National Museum of the Great Lakes in Toledo, Ohio. 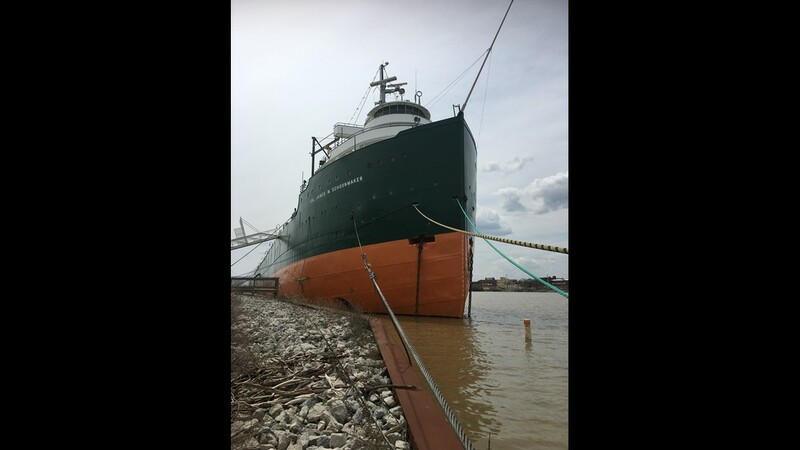 The S.S. Col. James M. Schoonmaker, a preserved Great Lakes freighter built in 1911, rides so high in the Maumee River because it is empty, exposing part of its huge propeller and rudder. The ship is moored at the National Museum of the Great Lakes in Toledo, Ohio. 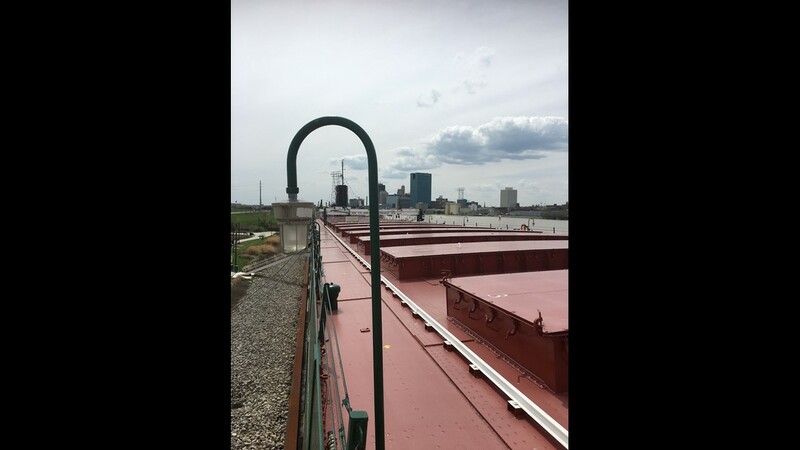 The skyline of the city of Toledo is the backdrop as visitors walk the deck of the S.S. Col. James M. Schoonmaker, moored in the Maumee River at the National Museum of the Great Lakes. 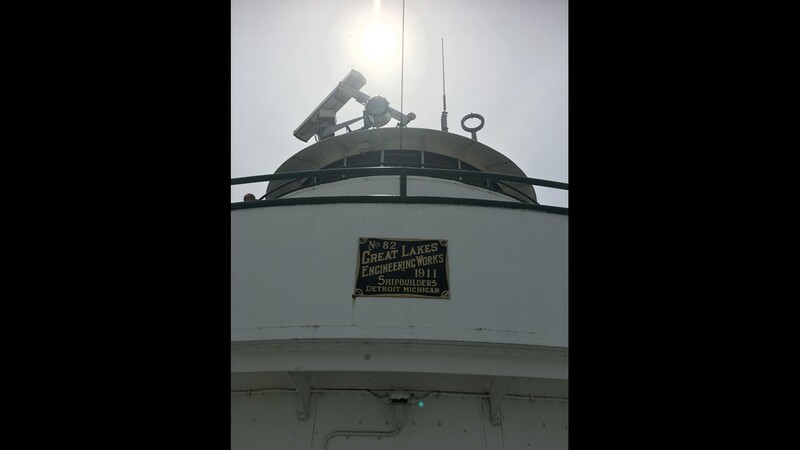 At the forward section of the S.S. Col. James M. Schoonmaker are the passenger and officers’ cabins, lounge and observation decks and above it all the pilot house. 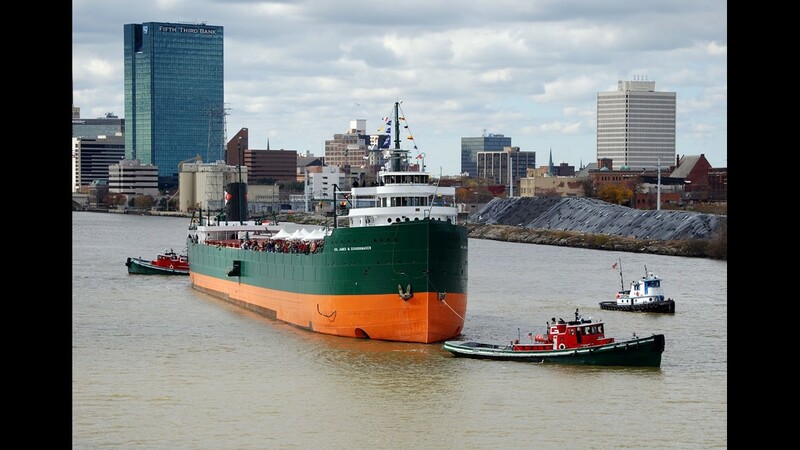 The historic freighter is now part of the National Museum of the Great Lakes in Toledo, Ohio. The shipbuilder’s plate mounted below the bridge of the S.S. Col. James M. Schoonmaker, a restored freighter that is part of the National Museum of the Great Lakes in Toledo, Ohio. 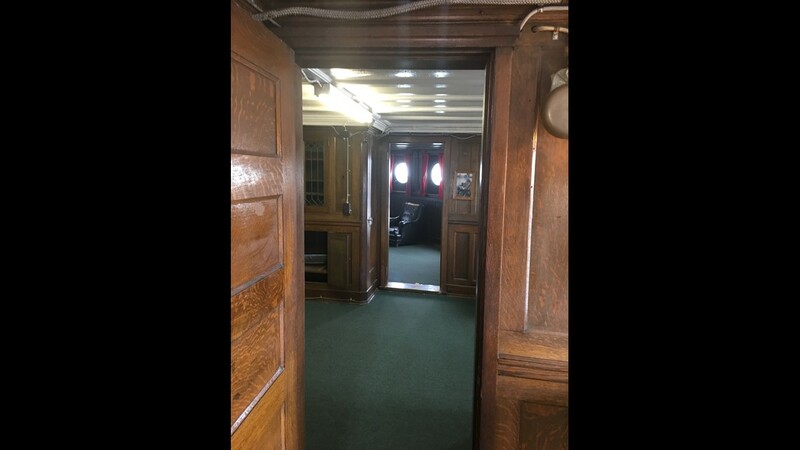 The fumed oak paneling provided a luxurious touch to the cabins and hallway for passengers and the ship’s captain aboard the S.S. Col. James M. Schoonmaker, an historic freighter that is now part of the National Museum of the Great Lakes in Toledo, Ohio. 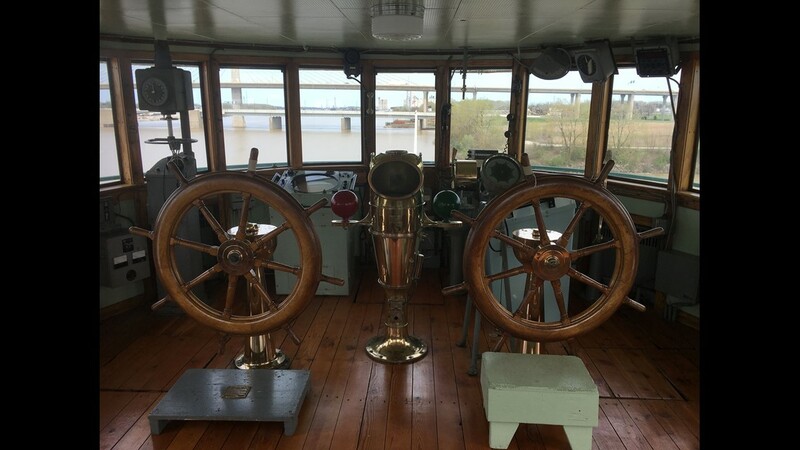 One of the two wheels in the pilot house of the S.S. Col. James M. Schoonmaker, its bow pointed up the Maumee River toward Lake Erie. The historic freighter is moored at the National Museum of the Great Lakes in Toledo, Ohio. 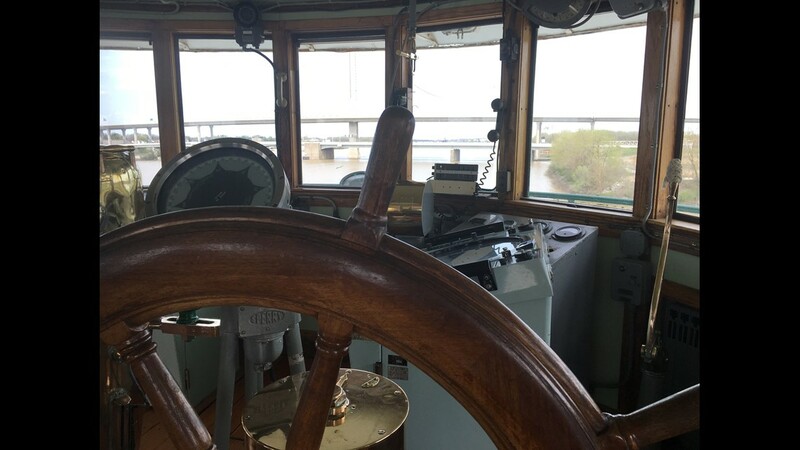 As on every lake vessel, the pilot house was the control center of the S.S. Col. James M. Schoonmaker, a freighter now on exhibit at the National Museum of the Great Lakes in Toledo, Ohio. The wheel on the left was a backup, a unique feature at the time the ship was built in 1911. 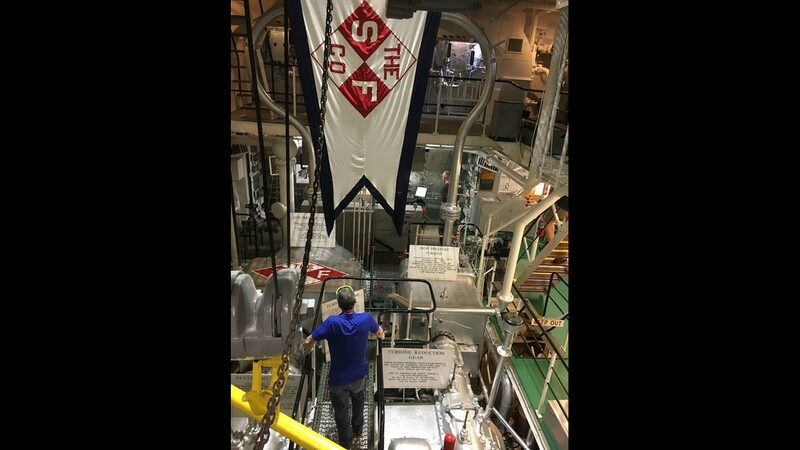 A visitor looks over the multi-level engine room of the S.S. Col. James M. Schoonmaker, a 1911 freighter that is now on exhibit at the National Museum of the Great Lakes in Toledo, Ohio. The ship was converted from coal-fired boilers to oil-fired boilers in 1953. Models of various freight and passenger vessels - all in the same scale - illustrate the diverse traffic that has plied the Great Lakes for centuries. 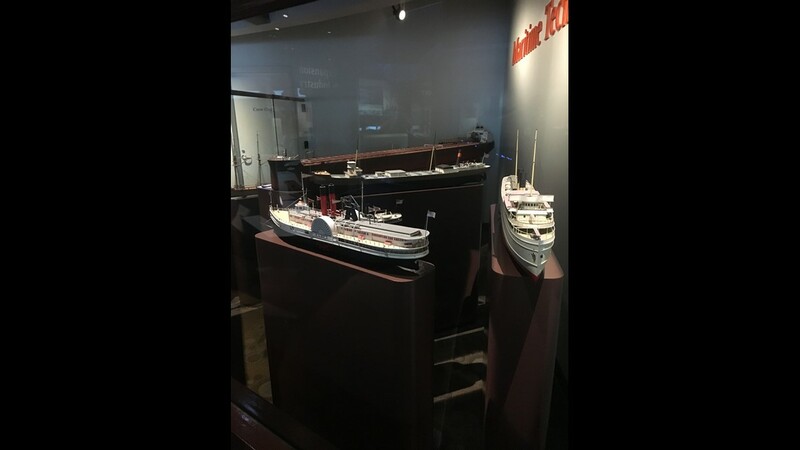 The ships are on display at the National Museum of the Great Lakes in Toledo, Ohio. 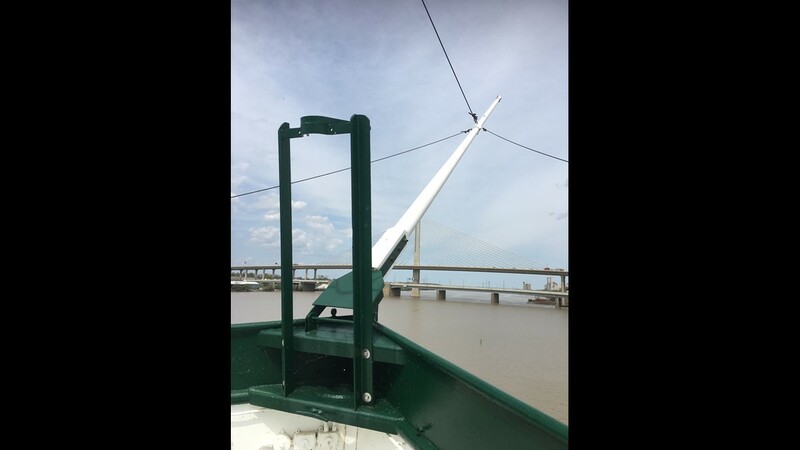 The bow of the S.S. Col. James M. Schoonmaker, a freighter built in 1911, points up the Maumee River, just a short distance from where it flows into Lake Erie. 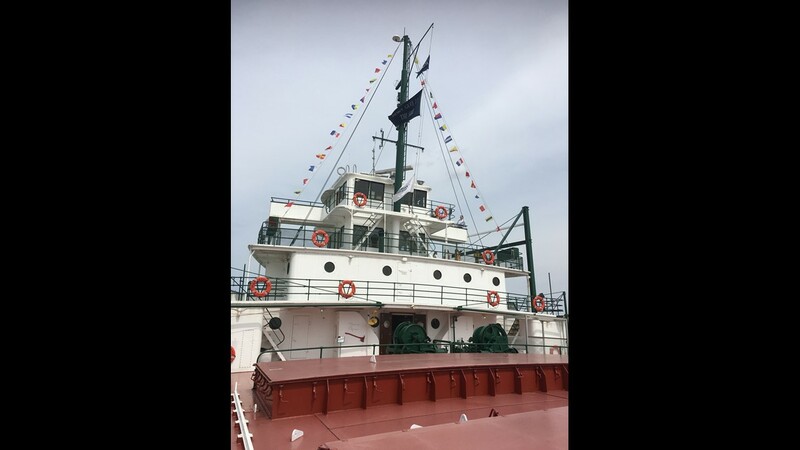 The ship is open to visitors to the National Museum of the Great Lakes in Toledo, Ohio. 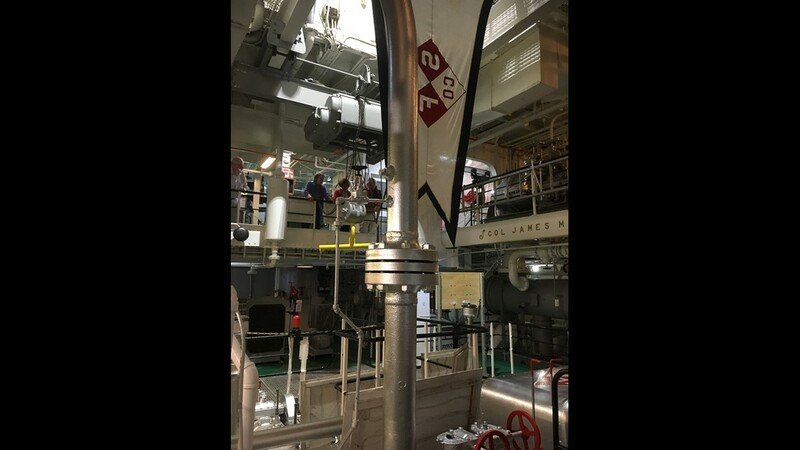 The engine room of the S.S. Col. James M. Schoonmaker, a freighter that is a featured attraction at the National Museum of the Great Lakes in Toledo, Ohio. 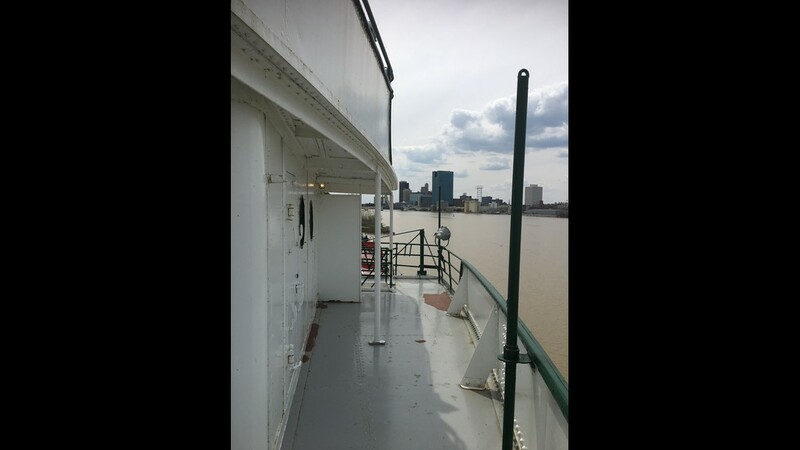 A view of the Maumee River and the skyline of the city of Toledo, Ohio, from the deck of the S.S. Col. James M. Schoonmaker, an historic freighter moored at the National Museum of the Great Lakes. 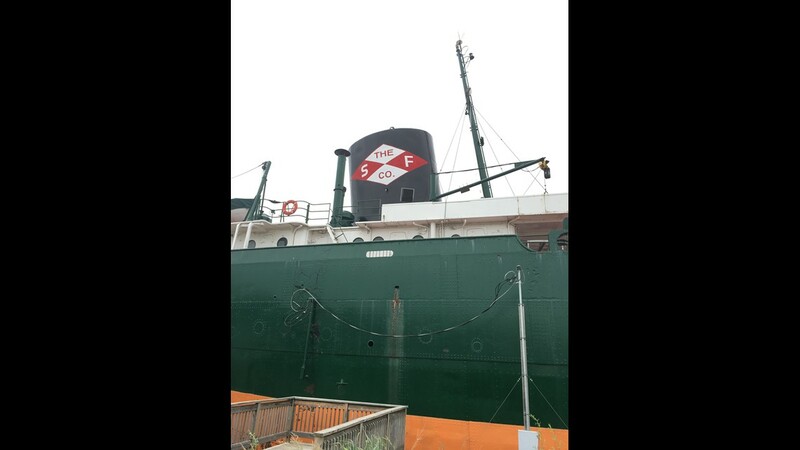 The smokestack of the S.S. Col. James M. Schoonmaker carries the emblem of the Shenango Furnace Company, which operated the freighter from its first day of service in the fall of 1911 until it was sold to another operator in 1969. At the time of its launch, the 617-foot-long ship was the largest on the Great Lakes. Now restored, the Schoonmaker is moored at the National Museum of the Great Lakes in Toledo, Ohio. 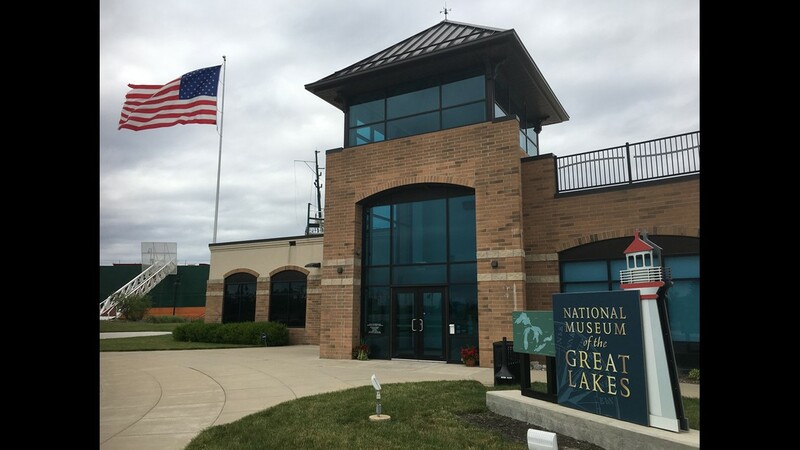 The National Museum of the Great Lakes in Toledo, Ohio, which chronicles the central role the inland lakes have played in the history of the North America.